No matter what your style, you’ll find SLO CAL has just the place for you. For rustic romance, any number of weathered barns can provide picturesque shelter against a backdrop of SLO CAL mountains and agriculture. For modern elegance, plenty of posh hotels and resorts can offer gathering spaces that boast clean, simple lines and contemporary luxury (as well as lodging and accommodations for guests). For delicious affairs, wineries of all shapes and sizes have the flavor and flair to host weddings from intimate to lavish. 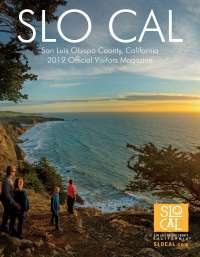 And for classic coastal gatherings, nothing beats SLO CAL’s pristine beaches and a little sand between the toes. Best of all, SLO CAL’s temperate, warm weather makes both indoor and outdoor affairs possible year-round. So come discover how meaningful a wedding in San Luis Obispo County can be.